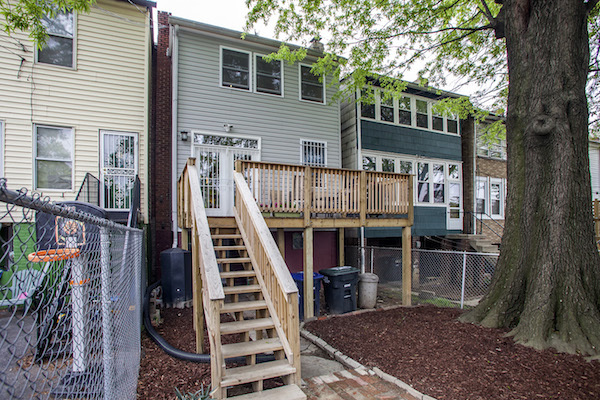 The home is truly move-in ready with fresh paint and lots and lots of newly updated features — including new kitchen and bathrooms, new central a/c system, new high efficiency washer, and new windows. With 4 bedrooms and 2 ½ bathrooms, this home has plenty of living space and also storage space, including a coat closet, linen closet, and even an unfinished part of the basement to meet more of your storage needs. 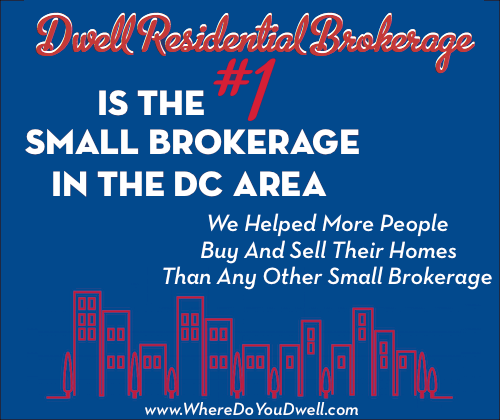 Living here means you can enjoy the action of H Street and the city living vibe. But, you’ll have your own “A Tree Grows in Brooklyn” experience with a friendly street and a backyard with a lovely mature tree. Home sweet home it is! 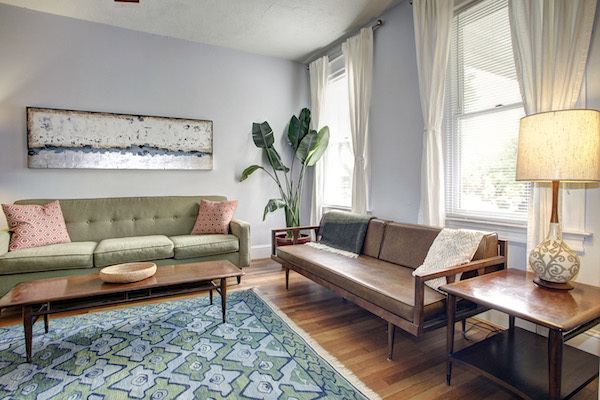 Newly refinished hardwood floors shine just as bright as two large windows in this sun-filled living area, making this a cheerful room to enjoy with family and friends. The new wood windows are energy efficient to help keep you warm or cool depending on the season. 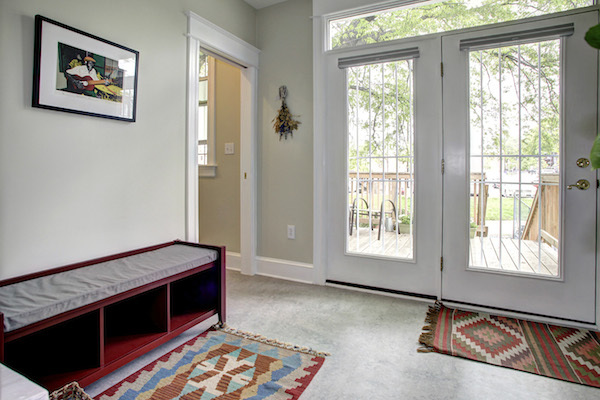 You and your guests can step into this gorgeous entryway and walk through the beautiful wooden doors to the living room. What a grand entrance! 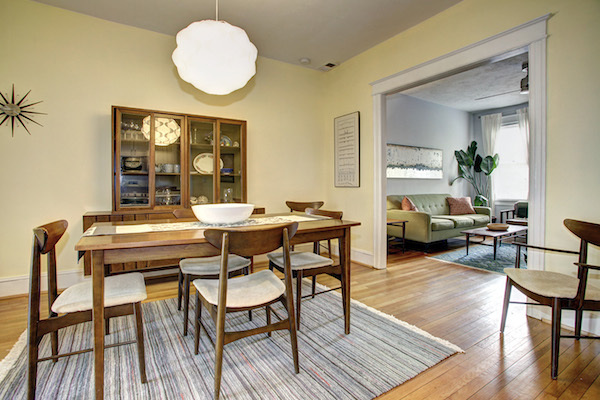 The bright, good-sized dining area is just off of the kitchen, sunroom, and living area — making this first floor layout open and spacious but not just one big room. Great convenience and perfect for entertaining. 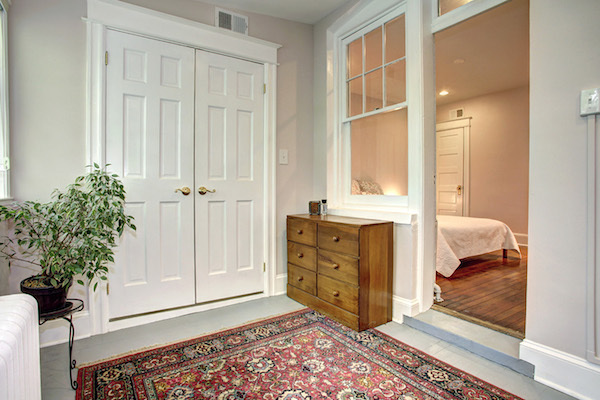 You’ll be happy to have this first floor mudroom with powder room. It provides easy access to and from the deck (and parking). Plus it’s got eco-friendly flooring. 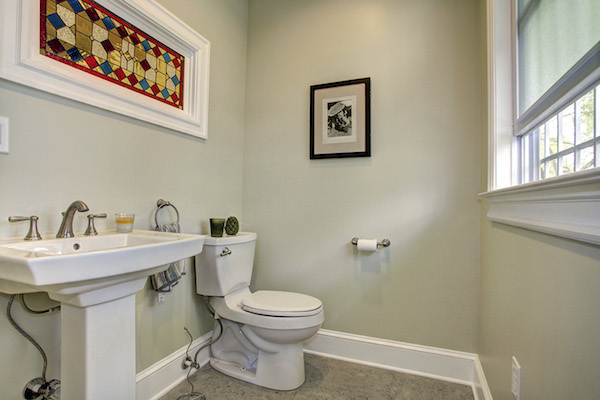 A lovely updated powder room for you and for your guests. 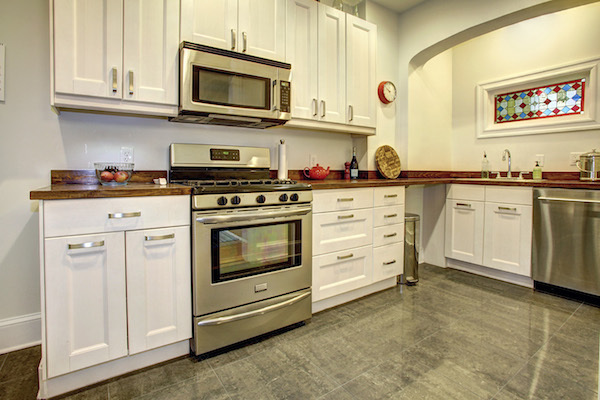 The upgraded kitchen features plenty of counter and cabinet space, new stainless steel appliances, and a splash of color from the window. The roomy master bedroom with recessed lighting features an adjoining room with a walk-in closet that is outfitted with an Elfa system. 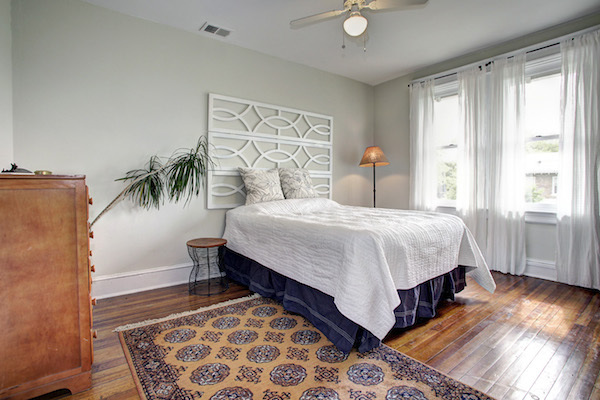 You’ll have enough space to meet all of your needs in this room. The extra sunroom off the bedroom is great for many uses – a reading room, sleeping porch, a sunny spot for your morning coffee or yoga workout. It’s been recently insulated so it’s a wonderful space to enjoy all year long. 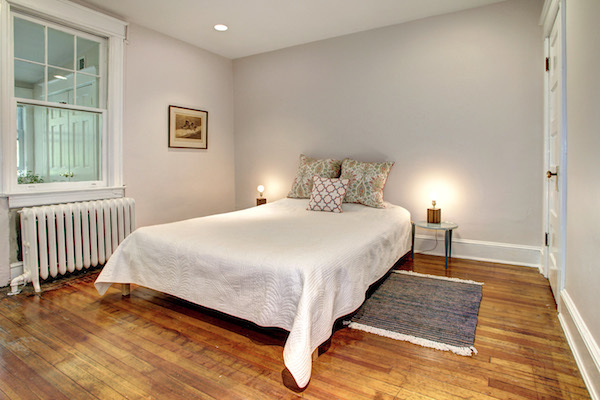 The second bedroom is striking with hardwood floors, large windows, and high ceilings. 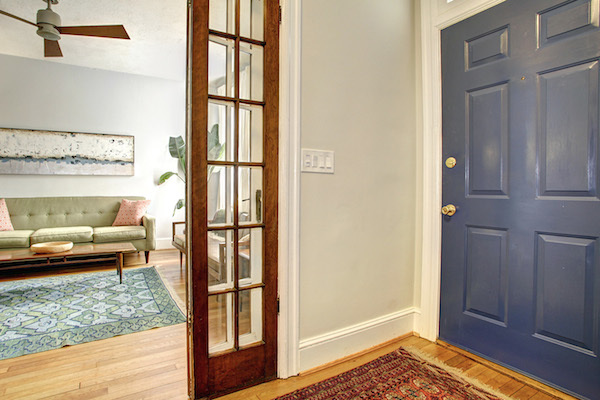 It beckons back to the original charm of this home. 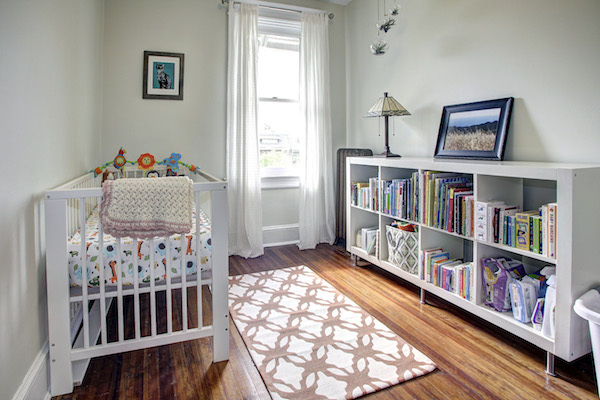 A perfect bedroom for a small child or an office for you! 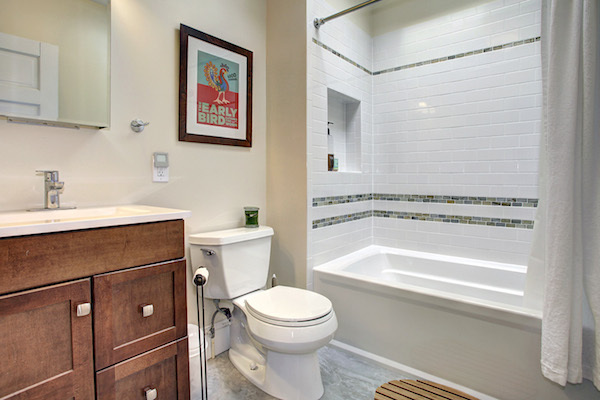 A beautiful wooden vanity and updated tile on the floor and surrounding tub area make this newly renovated bathroom picture perfect for your needs. A great 4th bedroom with a huge closet for guests or turn it into a rec room perfect for games, home theatre or whatever your heart desires! 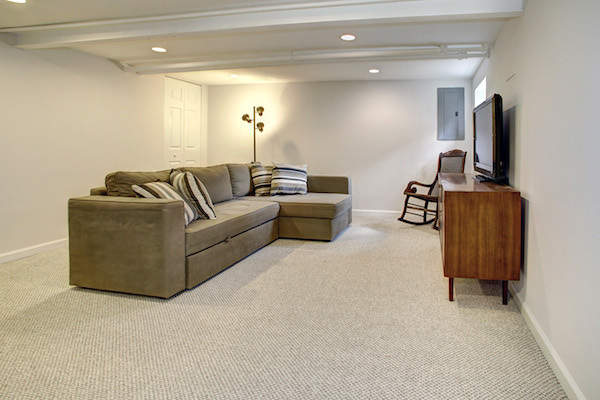 This part of the lower level has been updated with carpeting, recessed lighting, and fresh paint. The rest of the basement is unfinished and perfect for storage and includes a large utility sink (convenient for messy clean ups like your dog!) and laundry area complete with a new high efficiency washer. 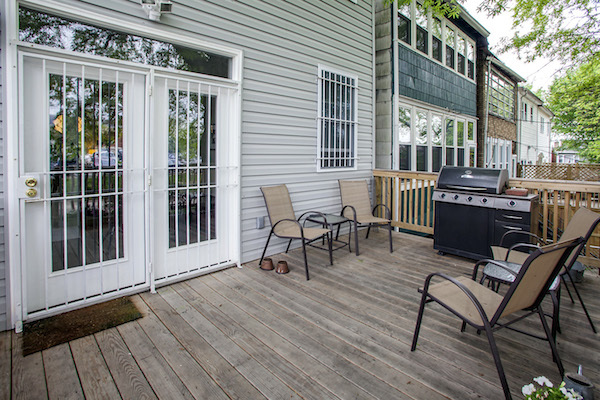 You will love to grill and hang out on this substantial deck with just enough shade to keep it cool. You can keep the party outdoors if you like when you live here! The large mature tree makes this backyard space a dream for the hot DC summers. You’ll even love the privacy and savings to your cooling bill. 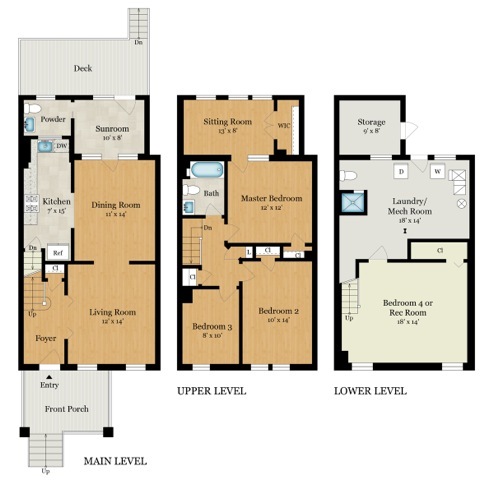 Plus, there are no back neighbors and includes a great spot for off street parking … need we say more?! 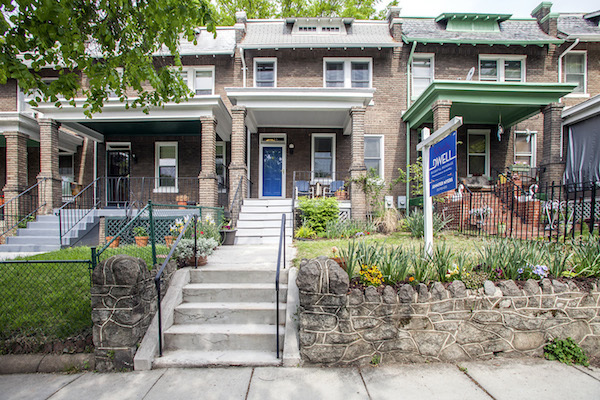 It’s a friendly street of row houses close to all the H Street attractions that make this city neighborhood so desirable – restaurants, shopping, coffee shops, and more.